Mais uma vez estou me divertindo com o desafio de fotos “A Personal Photo Challenge” (aqui). Este mês o tema é ANIMAIS!!!!! OBA!!!!! Difícil escolher três fotos nos meus arquivos. Entrou, em nossa casa, e não conseguiu sair. Foi necessário captura-lo, com muita paciência. Neste momento ele se recupera do stress, pousado na minha mão. Abelha visitando uma das flores do pé de araçá, do nosso quintal. Um “monstrinho”, também no nosso quintal. Pesquisando, descobri que, algumas vespas, colocam seus ovos sobre lagartas que, após a eclosão dos ovos, servirão de alimento para as larvas. E agora, por favor, me desculpe Donna! Não pude resistir, fugi as normas e coloquei mais duas fotos “in memoriam”. Três grandes e queridos amigos, em poses especiais. As duas fotos, ganharam um pouco de edição com o Photoscape para tentar melhorar a qualidade. Para a foto da abelhinha usei a Nikon 3100, lente de 60mm e para as outras fotos usei a pequena automática Samsung Digimax A50. Very well done and interesting photos! Such a treat to hold a hummingbird in your hand! I tried to rescue a sick one a couple of months ago, but it didn't survive. But it was simply magical just to hold it. And there is no problem with adding a few more photos. You know I never want to discourage enthusiasm! I love the portraits of your sweet dogs. I bet that they brought you an abundance of joy and love for many years! Thanks, Donna! The dear friends will always be remembered. Bela participação, Egléa! A foto da abelha é fantástica. Muito linda, especialmente por causa do fundo desfocado que parece valorizar ainda mais o contraste de cores da flor e da abelha. Parabéns! É a minha predileta, Jussara. No momento é o fundo de tela do meu computador. O Quiron adorava ser fotografado, fazia pose. Esta foto é divertida demais, não é? Great photos - love the dogs. The caterpillar and bee is quite amazing - Nature is always surprising us with unusual beauty. The hummingbird, so precious and tiny - such a strong little bird and very beautiful. Glad to see you join the challenge this month. Next month will be much harder for us - hope to see you here again. Thank you, Mary! is true, the next month is a big challenge ... I'm already thinking about him. Thank you, Diane, was a unique opportunity this photo of the hummingbird! I have known that wasps lay their eggs on caterpillars but never seen a photo of one, very interesting. I'm glad you shared the dogs, awesome photos. Obrigada! Eu chamo a foto da lagarta de "o monstrinho" .É mesmo impressionante. Thanks! I call the picture of the caterpillar of "the monster" .It really impressive. Wow to be able to hold a hummingbird...how cool is that! And I love the pictures of the dogs...especially the where the one is leaning against the other... Thanks for posting! Thanks! The hummingbird was very lucky! The dog was fun, he loved to be photographed! Eglea, que legal esse desafio do qual você está participando. Eu adoro fotografar e um dia quem sabe eu também participe de algo parecido, porém...agora, estou saindo muito, fazendo cursos e mal consigo fazer as postagens do blog e visitar os blogs queridos. Suas fotos estão lindas. Amei o beija-flor! Nossa, fiquei com dó da lagarta...quantos ovinhos de vespa. E os seus bebês caninos...saudades, sempre saudades, nã é mesmo?? 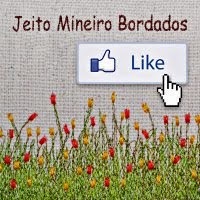 Querida, grata por participar do sorteio do Lilasesazuis e boa sorte!! É um desafio muito interessante mesmo. Dê uma olhadela nas fotos dos outros participantes, você vai gostar. Tem um monte de gatinhos. Participar do sorteio do Lilases Azuis é um prazer! Obrigada, Chica! A próxima participação é lá no "Sementes", já estou com a frase pronta! Tous les participants ont de superbes photos en valeur un regard! Great photos! How amazing to hold a hummingbird! I am fascinated with your photos of the caterpillar covered with wasp eggs. Nature is amazing!! Thanks! It's true! This caterpillar is incredible! Your photos are awesome. Enjoyed seeing every one of them. Eglea, these are fantastic photos! I also once rescued a little baby hummer who had gotten his beak stuck in a feeder and had fallen from it. Oh my...to hold that little guy in my hand was so unreal since they are so fast! I have never seen what you described as the "monster" before...oh my...kinda gross but what a great capture! 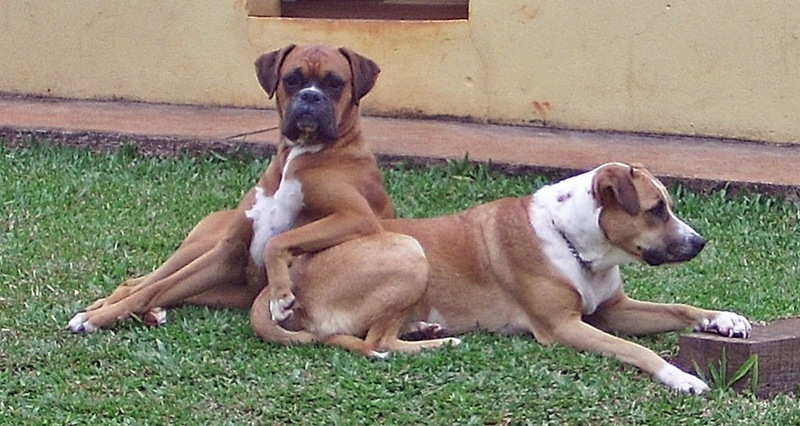 And those darling dogs...love the one where the boxer has his elbow resting on the other...the pose looks almost human!! Blessings! A magical moment in life! You mean that caterpillar is not going to survive? Oh dear! I thought he looked so cute wearing Q-tips. That last photo made me laugh! What fun! This fellow was very fun. That caterpillar photo is pretty awesome, but there're all really nice photos. Wonderful photos, Eglea. The baby hummingbird is so sweet. Really interesting bugs - I've never seen anything like those. such cute pups! wow, had no idea on the caterpillar covered in eggs! 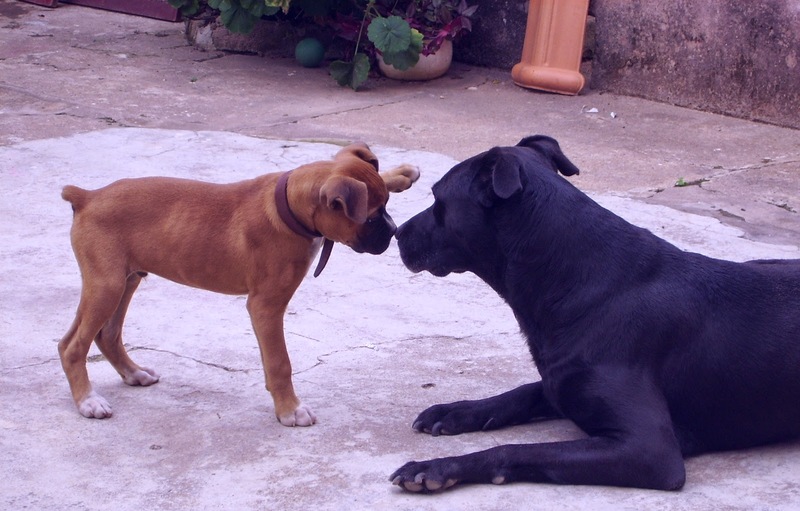 The dogs were great buddies! :))) Nosso quintal parece o da dona Benta, tem cada coisa... até cão fazendo pose, viu só?